Happy Sunday Everyone! So how is the weather where you live? If you are in the Northeast U.S. like me, then you've probably been experiencing rainy, cool temps for a few weeks now. Today, however, is sunny and warm and that instantly makes me happy! Regardless of the weather, I wanted to share one of my favorite accessories for spring/summer, KIMONOS! 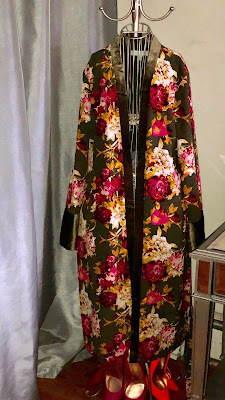 Yes, I too have jumped on the kimono bandwagon and here's why - they are chic addition to any outfit and provide warmth when its cool or when you're in A.C. all day. Below you will find 3 of my favorite, inexpensive kimonos or dusters or whatever you want to call them and some great places to look for some of your own. I hope that my selections inspire you to wear them with your next outfit or try one on the next time you are out and about. I often look for the local version of a kimono when I travel abroad, be it an oversized scarf, kaftan or kimono, its definitely coming home with me! Places I shop for kimonos (these may be obvious lol) include Asos, NY&Company, Target, and TJ Maxx. You can also check out places like Burlington, DSW and Marshalls in store in the accessory departments. Forever 21 often has dusters and kimonos for nothing in bright colors so check there too! There is no need to spend a lot of money on them when there are so many inexpensive options out there (that is unless you want to). This kimono came from NY&Co and is perfect for the fall and the spring. It has a faux velvet trim and darker colors that look great when paired with shoes or boots. The fabric has a nice weight to it for cooler days and can be worn with thin or thick layers underneath. I think its perfect for traveling to and from different climates and great for the plane. This striped kimono is from NY&Co and I got it for $19! Its perfect over a tank dress, over swimsuit, jeans, shorts - the possibilities are endless! I love the bright colors, the decent weight to it so its not sheer and the three quarter length sleeves. 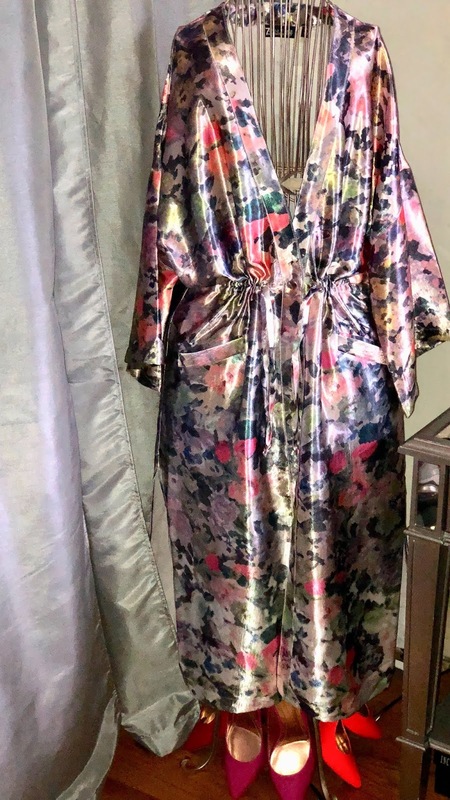 This floral satin kimonos is everything (also from NY&Co)! It cinches at the waist and is a nice length. 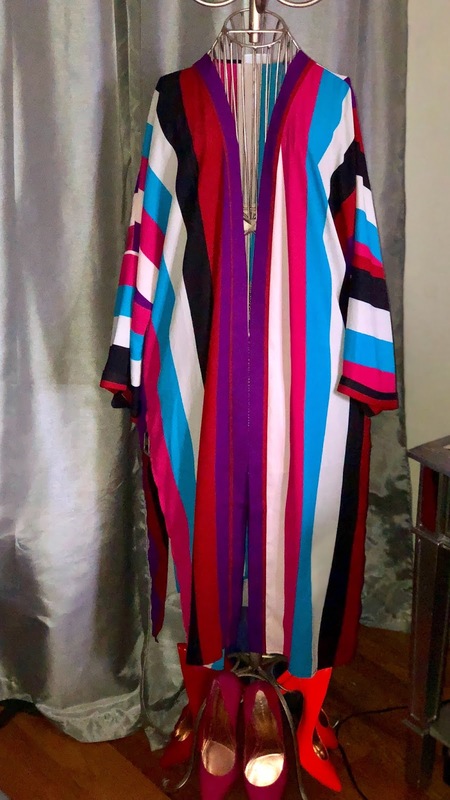 The colors are very subtle, which makes it a perfect piece to wear over a sleeveless work dress or even with pants and a blouse. I also like this kimono with denim.